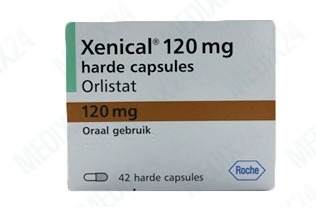 Xenical contains the active ingredient orlistat. By blocking about one-third of the fat in the food you eat, Xenical is used for treating obesity. Undigested fat cannot be absorbed by the body and is eliminated by it. After the drugs Reductil and Acomplia have been banned, Xenical ® is the last remaining effective drug against obesity only available on prescription. 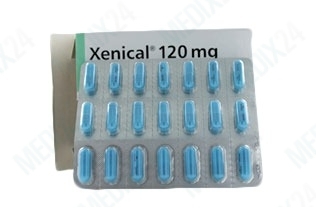 Xenical is used to reduce body weight. It inhibits enzymes that cleave the fats in the intestine (lipases) and thus enable their proper absorption. By inhibiting these enzymes fat is excreted undigested, the amount of calories is cut back and the lipid levels in the blood are improved. The usage of Xenical should be accompanied by a balanced, low calorie, high fiber and light diet (low in fat! ), otherwise so-called fatty stools may occur. Treatment with Xenical should only be done as part of a holistic therapy with changes in food habits, behaviors, and physical activity. Chronic digestive disorders in which the nutrient transfer from the intestine into the body is impaired (chronic malabsorption syndrome). During pregnancy and lactation the drug may not be used. 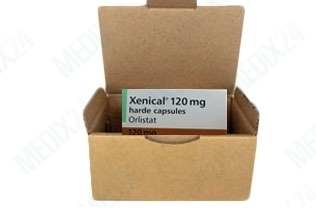 The ability to react in traffic or when operating machinery may be affected when taking Xenical. Especially in combination with alcohol, the effect of Xenical can be so strong that the reactivity is too low. In that case you should refrain from participating in traffic. You should also not operate machinery. Listed are the major known side effects. These can happen, but they need not, as not every person responds to drugs in the same way. Every now and then people show allergic reactions to medications. If you notice anything unusual that could be some sort of allergic reaction, stop the usage of the drug and talk to you general physician or pharmacist.